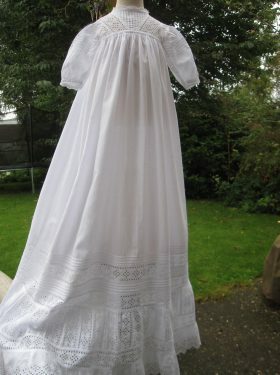 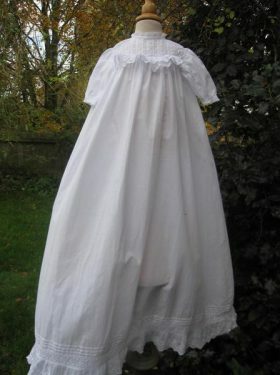 Newly acquired is this lovely 1930's christneing gown made form pure cotton lawn. 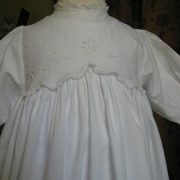 Influenced by the Edwardian period the gown has a high yoke decorated with delicate hand embroidered cutwork daisies. 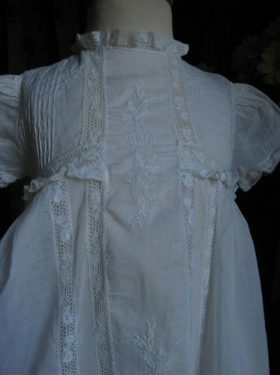 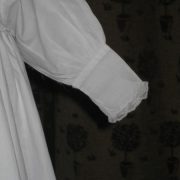 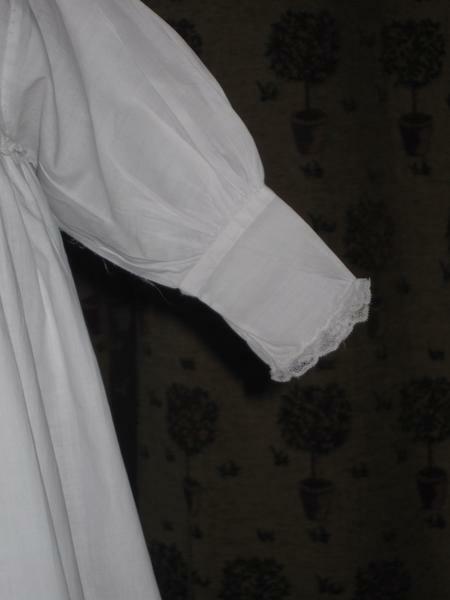 The long sleeves have long cuffs that are trimmed with narrow cotton lace, as is the neckline. 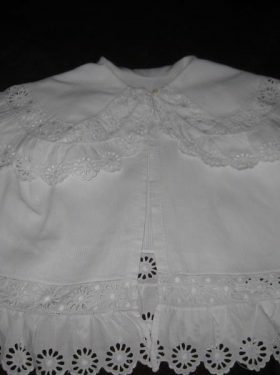 The long skirt joins the yoke with a scalloped row of lace. 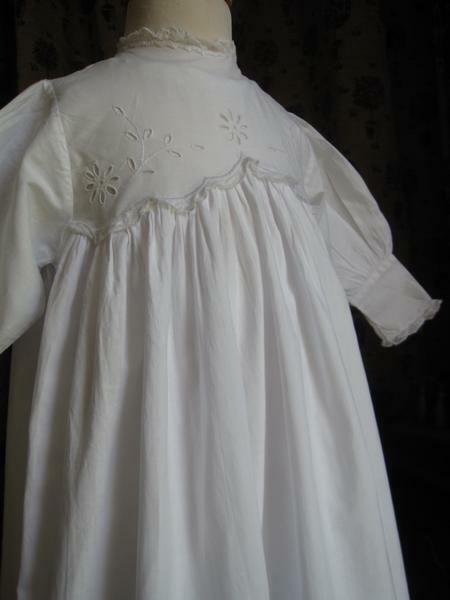 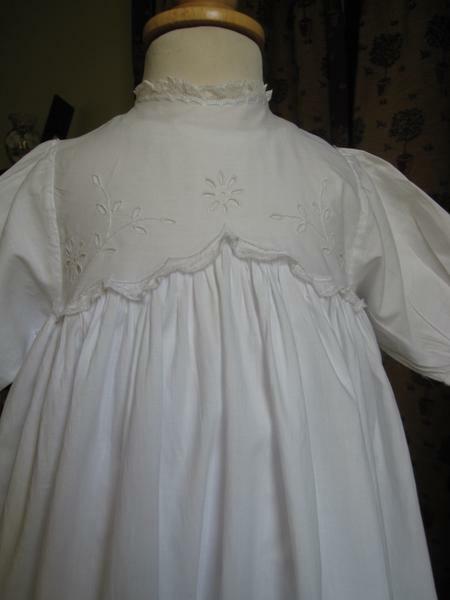 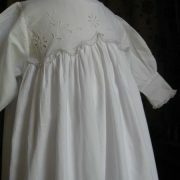 It then flows into a wide hemline which is decorated with hand embroidered cutwork daisies and a scalloped edging. 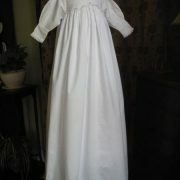 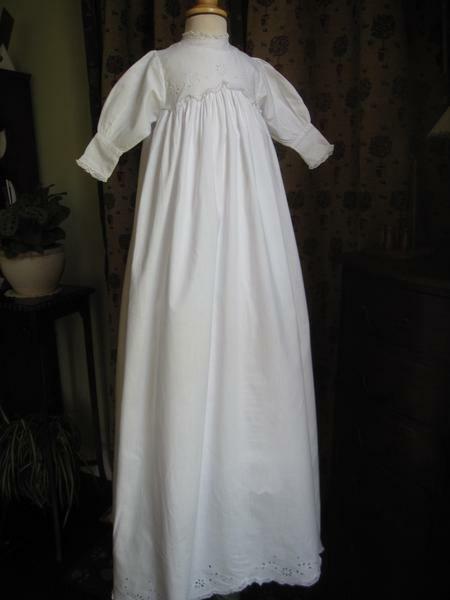 All in all a pretty christening gown perfect for cooler days.